The following blogs were written while I was an intern at Ilfusion, Inc., a creative agency in Ft. Worth, Texas. 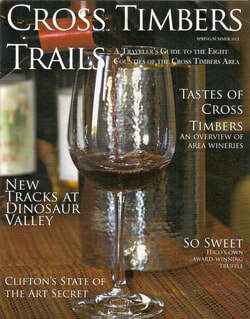 I was Assistant Editor for this issue of the Cross Timbers Trails magazine. Click the picture to read the entire magazine.